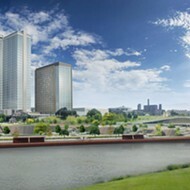 The proposed towers of the One Beale project. 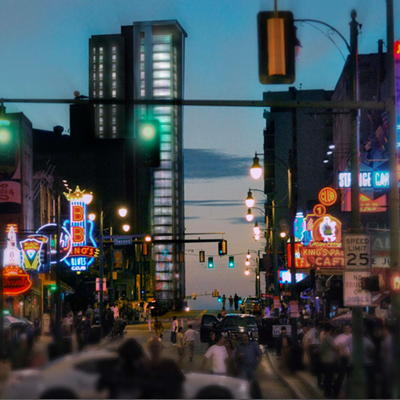 Construction could start on One Beale as soon as the beginning of next year and open about 30 months after that, development officials told members of the Downtown Memphis Commission Tuesday morning. 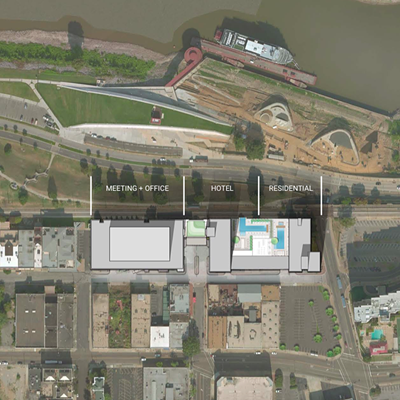 One Beale is a proposed $150 million development on the corner of Beale Street and Riverside Drive. The plan was revealed in the media last week. 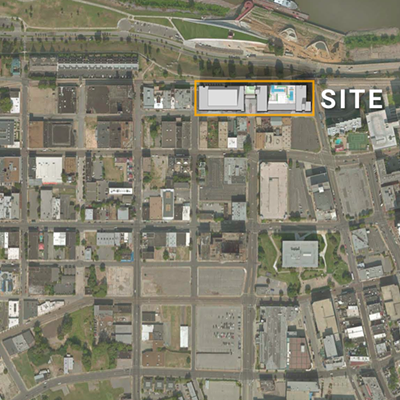 It consists of two towers — one, a 30-story, 280-room apartment building at the corner of Beale and Riverside and the other, a 22-story, 300-room hotel built just south of the apartment building. 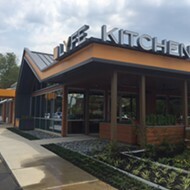 The development also has an office and conference building and an 800-space parking garage. 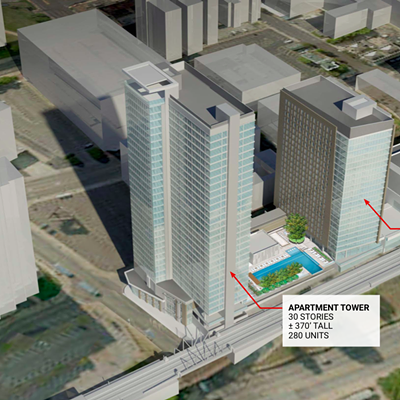 Restaurants and bars will be located inside the apartment and hotel towers. Retail space will be available at sites over the entire campus. 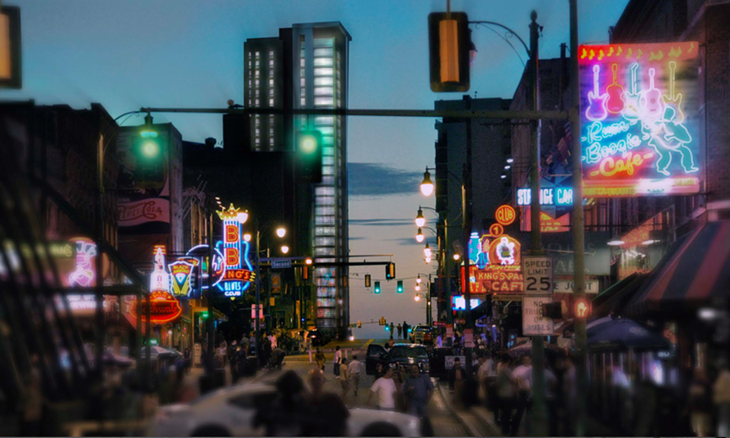 If built, the towers will transform the Memphis skyline, according to Chase Carlilse, director of real estate and development for Carlisle Corp., the company behind One Beale. “We are all aware that we’re at the mouth of the Mississippi River and it’s one of our most attractive features,” Carlisle said. 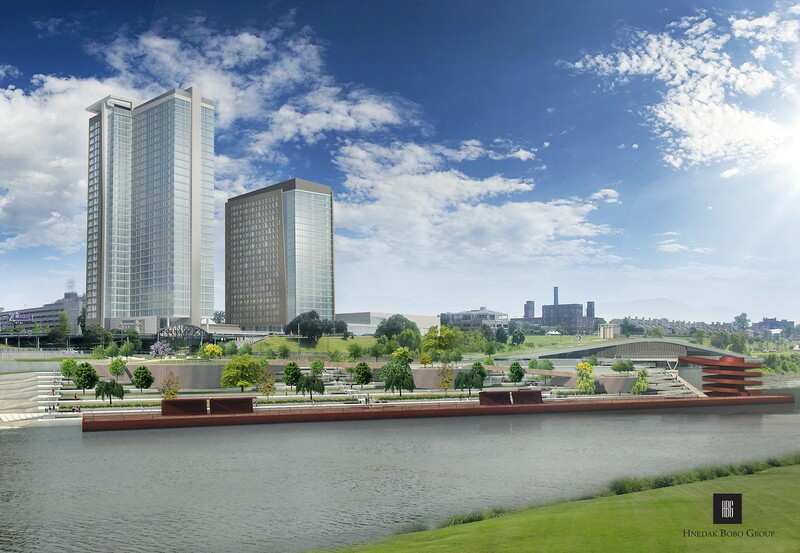 “(Memphis Mayor A C Wharton) has been pretty public with his desire to see us connecting the river to the rest of our city, not just Beale Street. 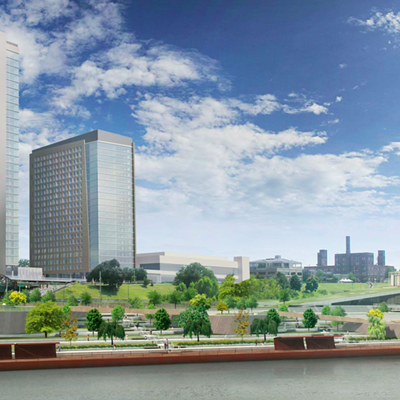 Carlisle said construction on the $150 million project could begin as early as the first three months of 2016 and would take about 24 months-30 months to build. That would push a grand opening of One Beale to sometime in 2018. About 1,500 jobs would be created in the construction phase of the project, paying about $72 million in wages during that time. Once One Beale is open, about 200-300 full-time jobs would be created, Carlisle said. The company is in talks with an “internationally branded flag hotel” to occupy the south tower, Carlisle said. But the deal isn’t done and he did not want to give the name of the hotel company. The presentation to the Downtown Memphis Commission’s Center City Revenue Finance Corporation (CCRFC) was for information purposes only. 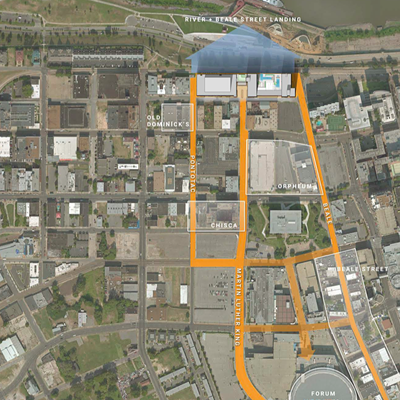 Carlisle said he wanted to begin to introduce the project around town and to get public feedback on it, noting he will soon begin meetings with Downtown neighborhood groups. The proposal sparked only a few questions about One Beale Tuesday but it certainly seemed to impress CCRFC chairman Luke Yancy.